Presenting "The K-METAL from KRYPTON!" "The K-Metal from Krypton" © 1940 Jerry Siegel and DC Comics. 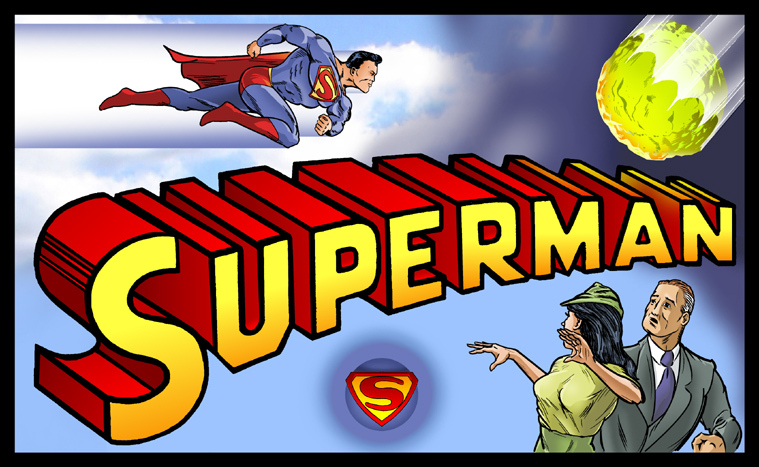 Superman and all related elements are trademarks of DC Comics. 1940 artwork by Wayne Boring, Paul Cassidy, Dan Komisarow, Leo Nowak, Joe Shuster, and John Sikela. [*] 2004-2007 artwork by Angel Criado, Bob Rivard, Shane Foley, Jon Bogdanove, Randy Sargent, and Tor Kinlok [*] and is © 2004-2007 by the respective artists; all rights reserved. Superman created by Jerry Siegel and Joe Shuster.